Recently I gotinvolved in a project where the customer requirement was to deploy an ADF application on Apache Tomcat 6.x. This ADF application would be rolled out with ADF Essentials. Which OTN describes as following: “Oracle ADF Essentials is a free packaging of key technologies from the Oracle Application Development Framework that can be used to develop and deploy applications without licensing costs”. Thus tremendously decreasing operational costs. Download the stable version of Tomcat 6.x In our case this was Tomcat 6.0.36. (zip file). Unzip the downloaded zip file to a folder. We chose to unpack the files in “/u01/app/apache/apache-tomcat-6.0.36”. Create a script to set environment variables $CATALINA_HOME and $CATALINA_BASE pointing to “/u01/app/apache/apache-tomcat-6.0.36” . The two environment variables have the same value because this is a single instance configuration. It is also required to have the $JAVA_HOME environment variable, this will be used by Tomcat to start the application server. I chose to install Java 6 in a custom location. 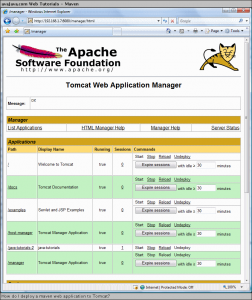 “Tomcat Web Application Manager” application provides the user with functionality to upload, deploy and undeploy applications through the Web.Also once deployed, to stop and start applications. 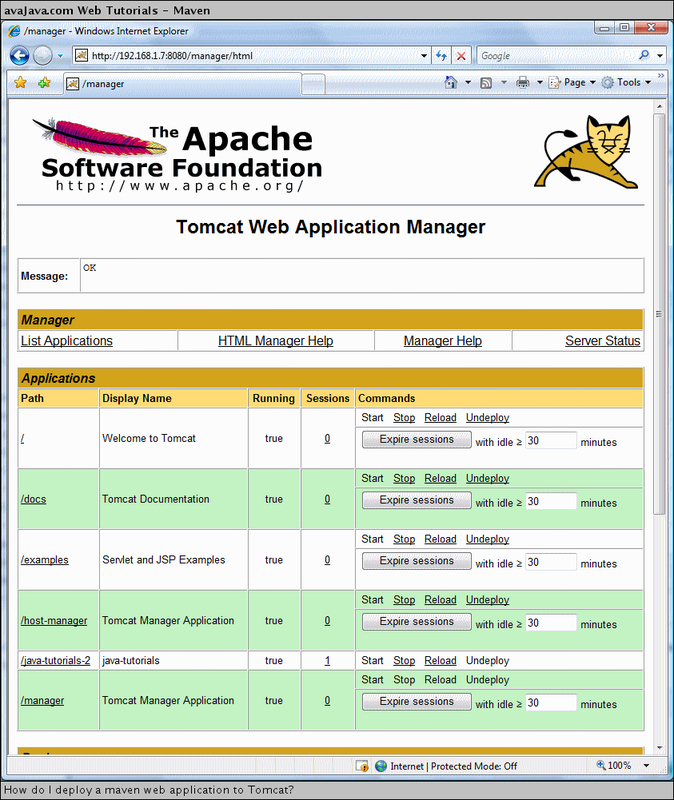 One can access the “Tomcat Web Application Manager” on the Tomcat server on the following URL: http://[server-hostname]:[server-port]/manager. At this point the application server is configured and prepared for the application deployment. Login to the “manager” application and drag and drop the application on the “Choose file” button inside the “War file to deploy” section. After a successful deployment the application will be started and the Running column for your application will have the status “true”. When facing problems analyze the log files that can be found in the server directory: $CATALINA_BASE/logs. In our situation the log file “localhost” had the most accurate logging for the exceptions we had. Thanks for this clear description. Would you happen to have any initial performance findings for ADF 11g on Tomcat? I have heard reports that it is pretty good – can you confirm?